For today I prepared a new post in cooperation with Zaful.com. I will write more about this site but I will immediately move on to what I want to share with you. 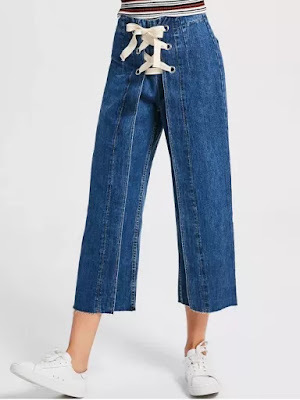 Trend which I quickly accepted and that I extremely like it is wide leg jeans. 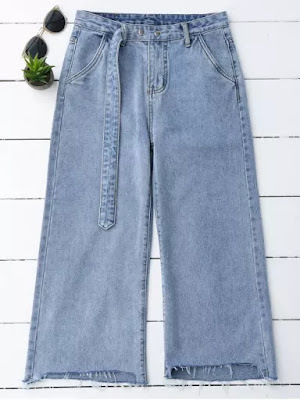 I adore this model jeans. 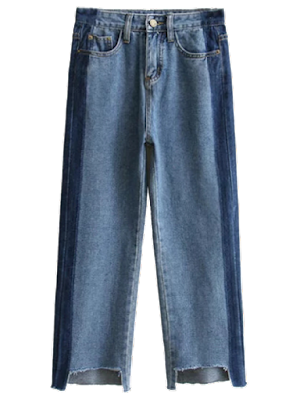 If you want to look lean and trim, the hem of your jeans should barely skim the floor. If it's too long, even just an inch or two, it'll look sloppy. This type of pant is on trend, flattering most body types with a higher waist and wide, flowing leg. The wider leg gives many styling options, while the fit will offer comfort and ultimate style. Women and teenagers enjoy a nice, tailored look, while still looking modern and put together with this type of jeans.